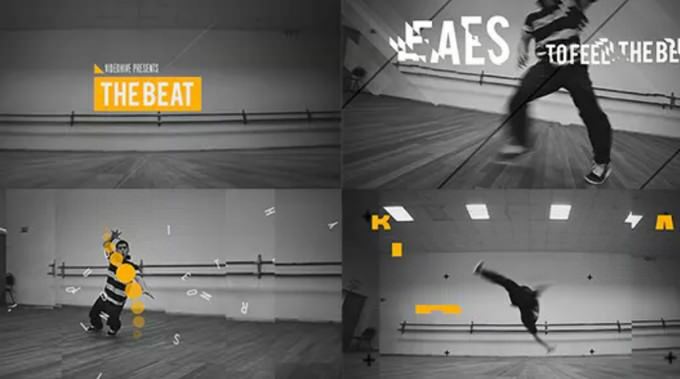 Do you want to create an extraordinary video for your viewers, clients or your YouTube channel? 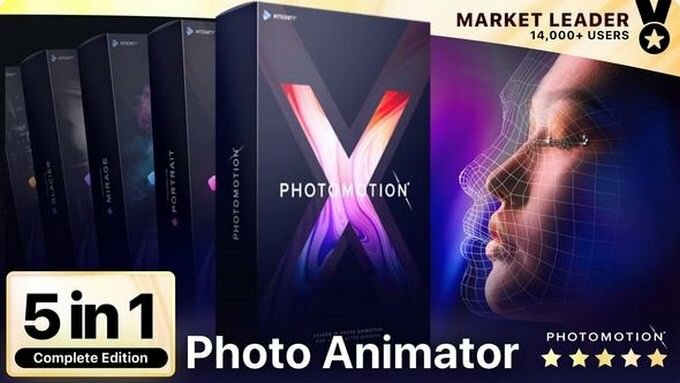 In this post we bring a round-up of premium After Effects video templates for your visual effects and motion graphics-related work. 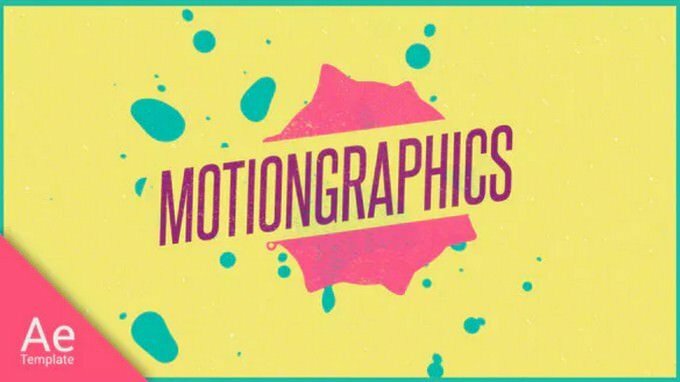 With the rise of Computer Graphics and Digital Motion, After Effects is getting more popularity in the industry. 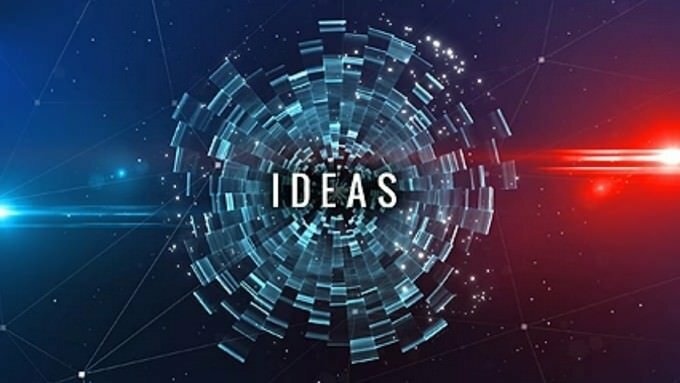 With After Effects, you can create basic motion graphics and simple title sequences to full-blown 3D special effects and animation. 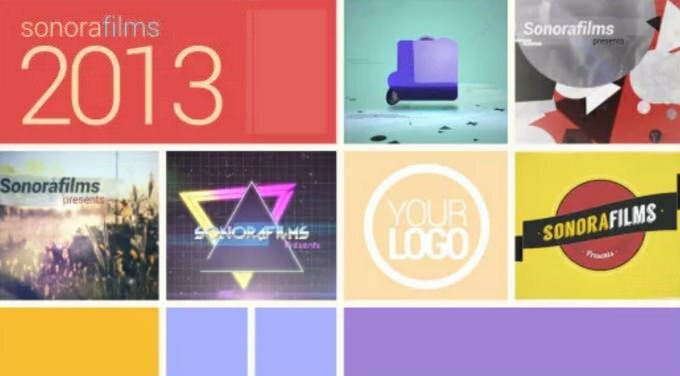 Whether you want to create Corporate Business Promo or create cool social media videos or anything else, we’ve gathered together a great collection of premium After Effects video templates for you to get started. 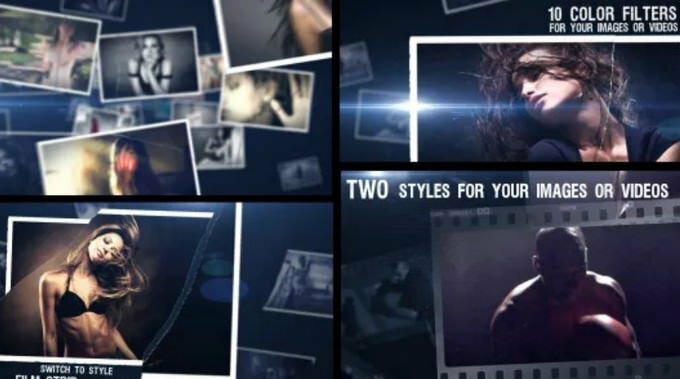 Here is the list of 35+ premium After Effects video templates for making visually attractive videos. 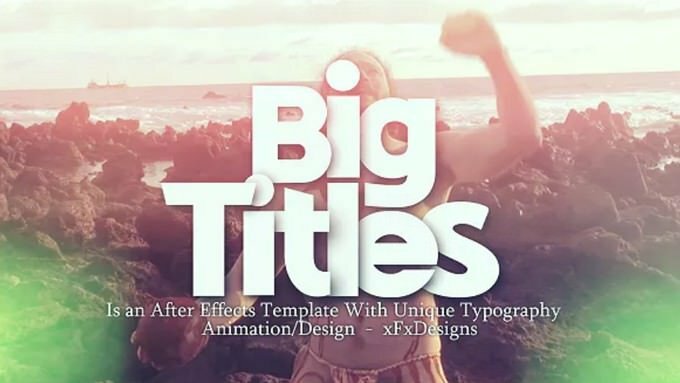 With these pre-made After Effects templates, you can make your video project stand out from the crowed, even if you are beginner. We hope that it will be helpful for you! 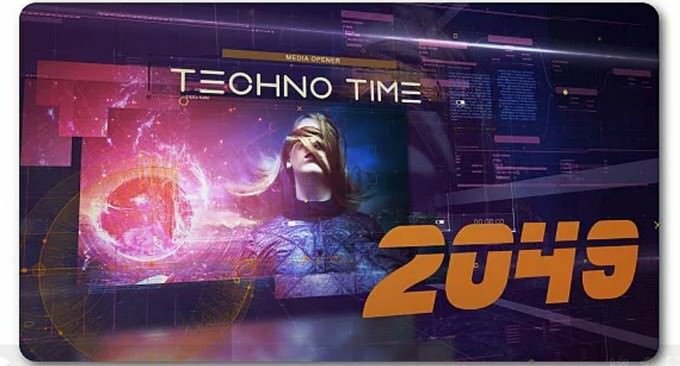 This is a multi-purpose, modern and stylish After Effects transitions template you can use for many different types of video projects. 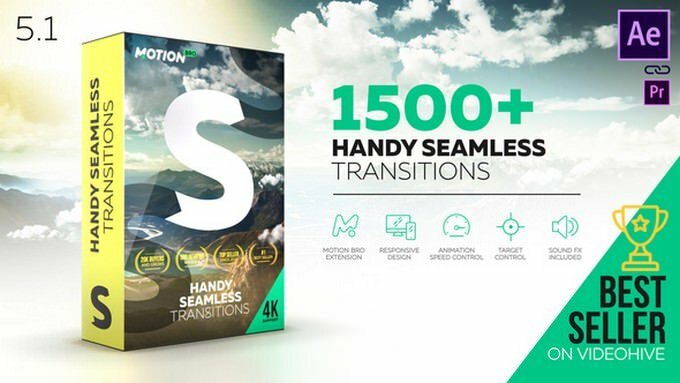 It features beautiful transitions include up to 1500 dynamic effect.This bundle is ideal solution for those who making a trailer, productc promo, music clip, broadcast, movie, documentary film, Slideshow or presentation. 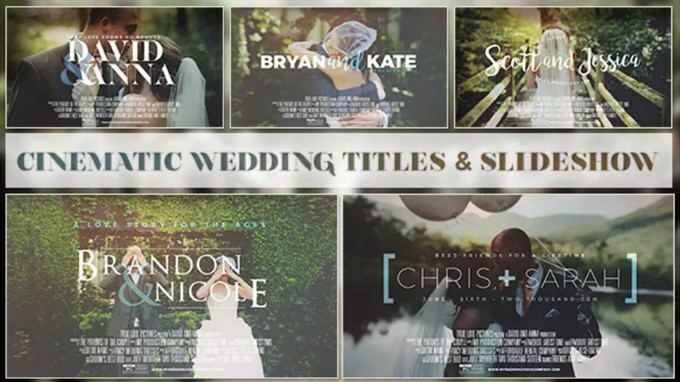 Here is another beautiful pack of After Effects video templates came without plugins, but it is easy for customization, with 30 scenarios, including background music and logo.Whether you are professional productions company or making a product advertising video, services, travel, birthdays, weddings. 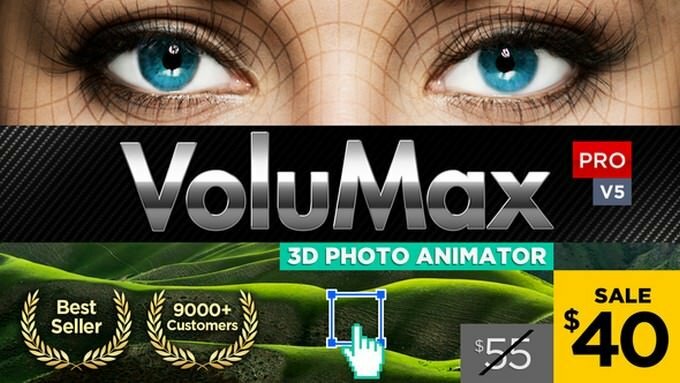 Let your customers impress with your work. 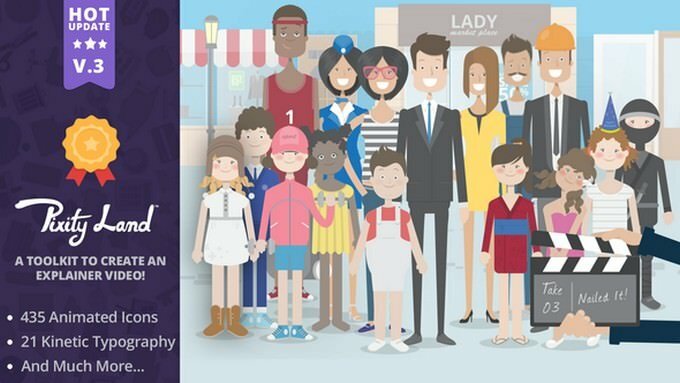 Very cool and clean project to create a great animated explainer for your start-up or company. 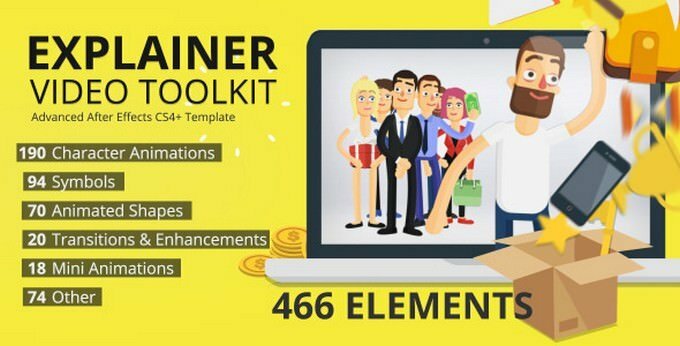 The main idea was marketing business base toolkit with lots of feature and with possibility to change the story and each elements separately. 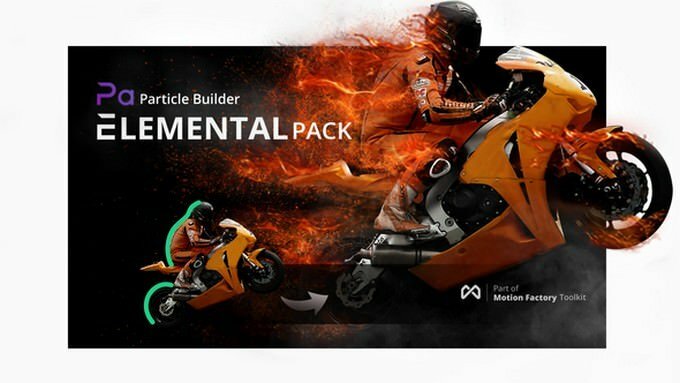 So this package comes with more than 500 unique elements that you can place them everywhere, changing the colors and make your animated explainer. Also with the “unlimited character system” you can create amazing characters. The project keeps on growing! 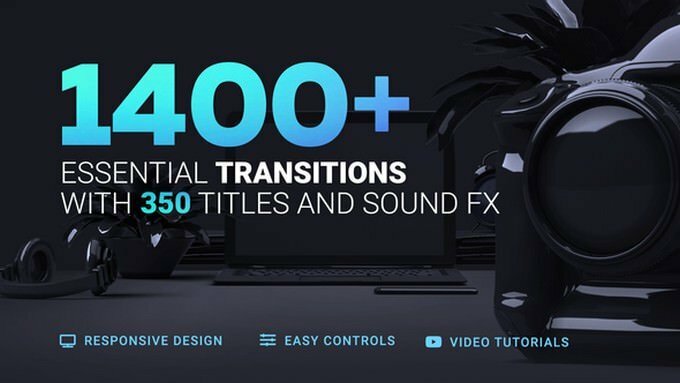 It all started with only 70 Transitions and now we have over 1400 Presets available in 8 different categories, with a bonus of 350 Titles, Lower Thirds and SFX. 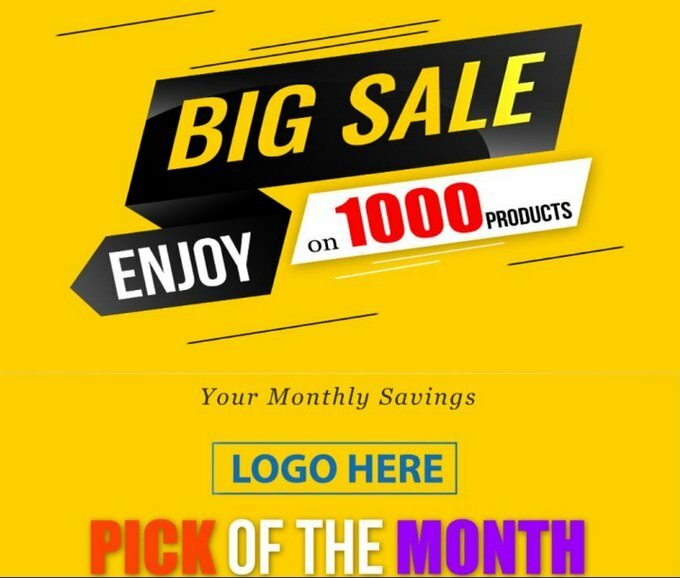 This wouldn’t be possible without such positive feedbacks and so many sales from beloved customers. 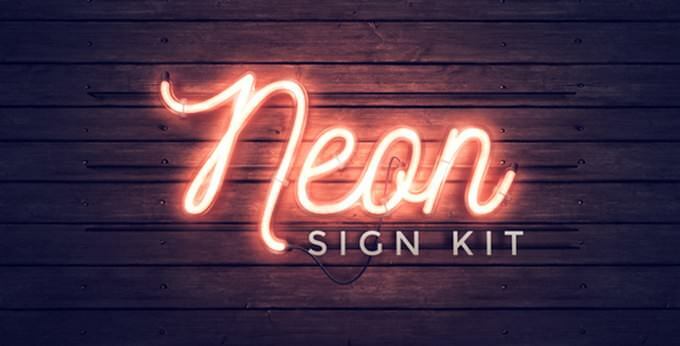 Neon Sign Kit features everything you need to create realistic, 3D neon signs directly from After Effects. 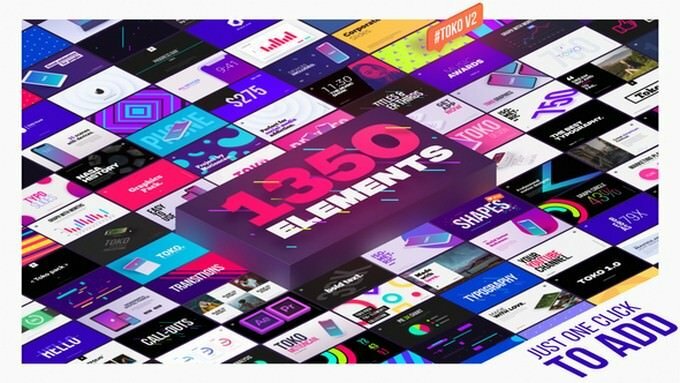 A simple yet powerful set up that’s perfect for creating neons with your text, logos and images – no plugins required. 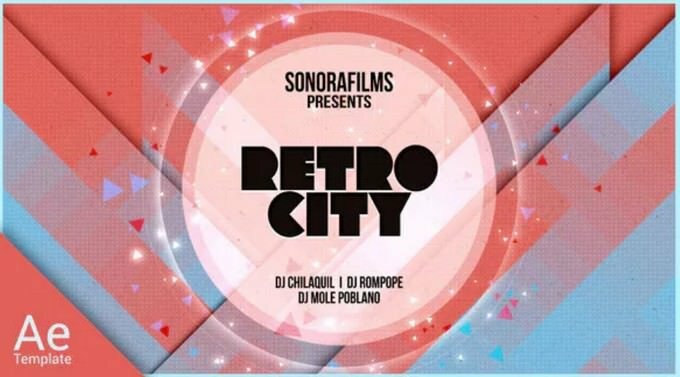 Retro City After Effects text and image slideshow. Use video or photos. The customization is really simple with easy color controls and an organized modular structure. 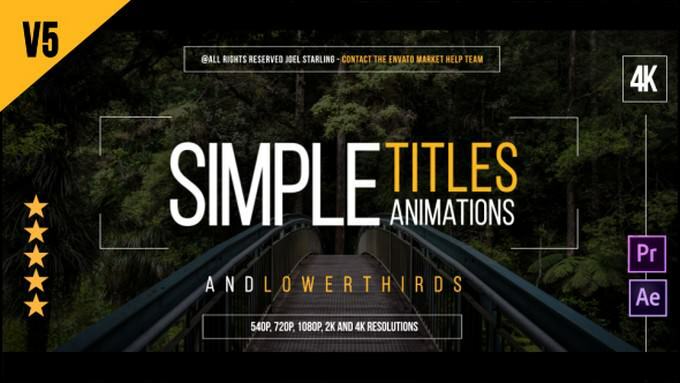 Create great promos, add the final touch to your presentation, create a trailer and much more using this great template. 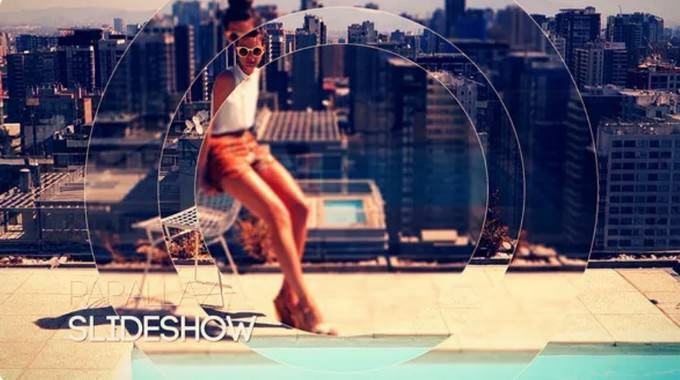 Super interesting, dynamic, eye catching and professional laptop & PC promo video for everyone. 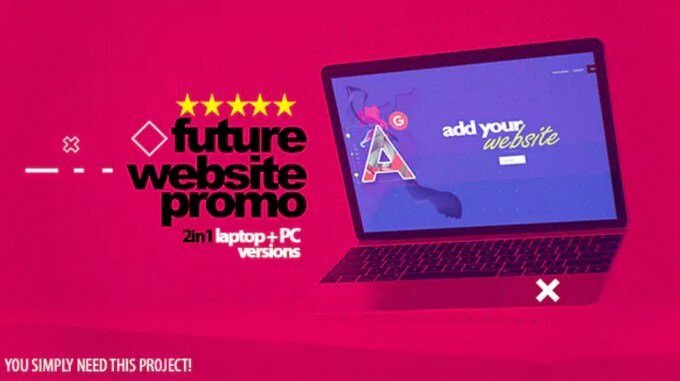 This project is perfect to present a new website in a stylish way, or to showcase showreel of new wordpress template or if you need an amazing web promotion, UX/UI showreel, app trailer, web demo, company corporation video, company timeline, logo reveal, laptop promo or web video game trailers, YouTube video or awesome intro – you are in right place! 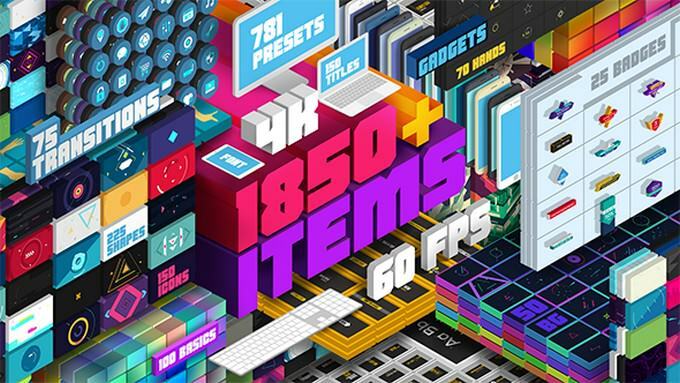 New 90s is a fun, pop-inspired After Effects template with lots of video/photo and text placeholders. 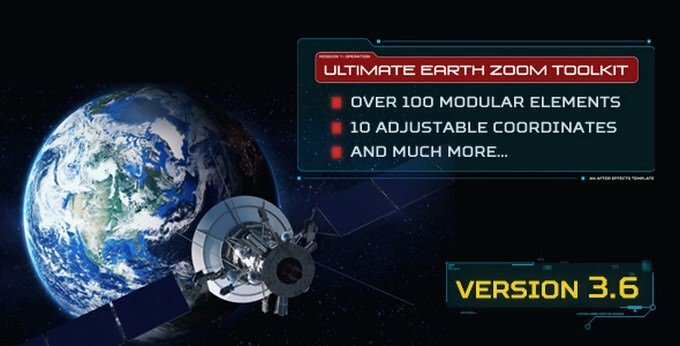 The customization is really simple with easy color controls and a well organized modular structure. 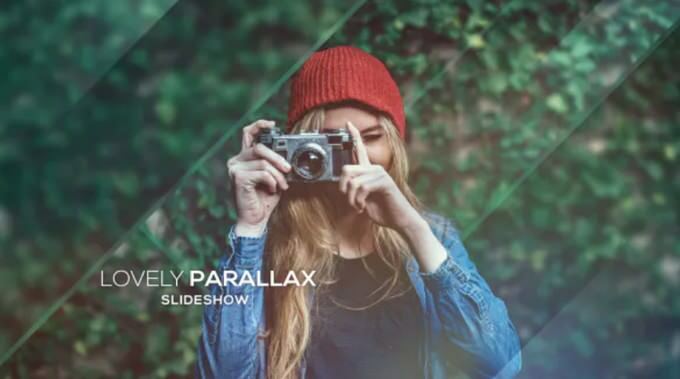 Create great promos, add the final touch to your presentation, create a trailer and much more using this great template. 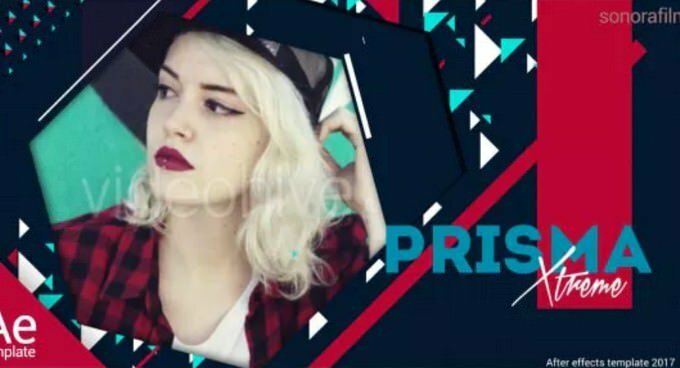 Prisma is an Adobe After Effects template with a 90s design style, full of color and movement. 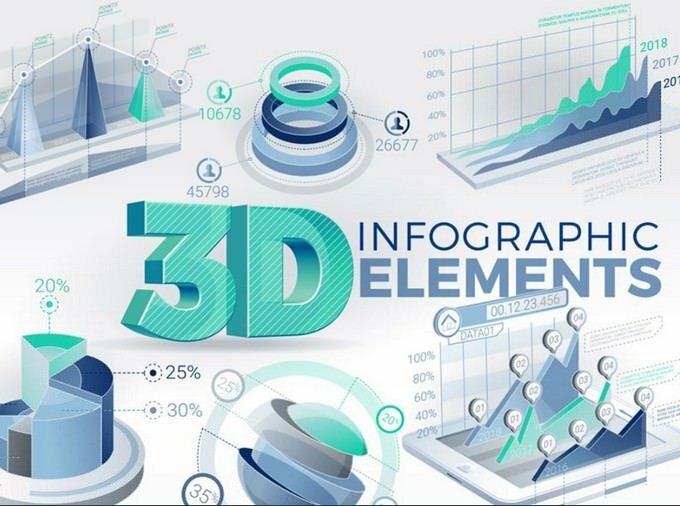 The template is very easy to customize with simple color controls and a well organized structure. 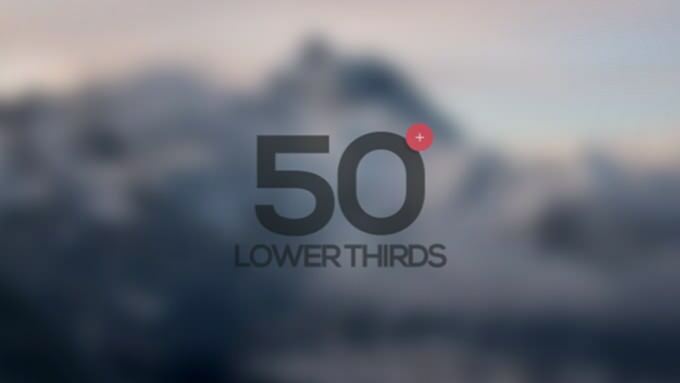 It works great as an opener, title sequence with photo placeholders or even as a text presentation. 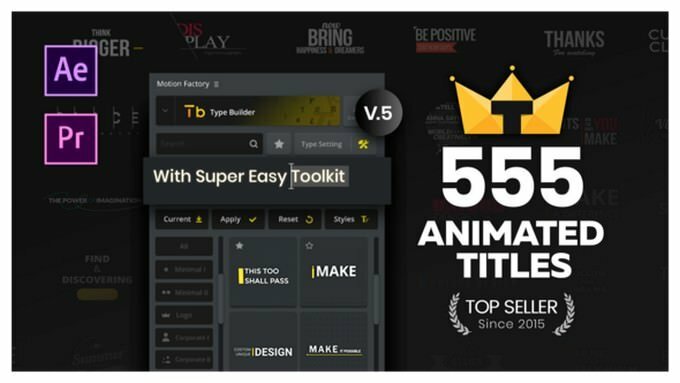 It’s built using standard after effects tools only, no 3rd party plugins or prerendered footage and it’s optimized for a super fast render. 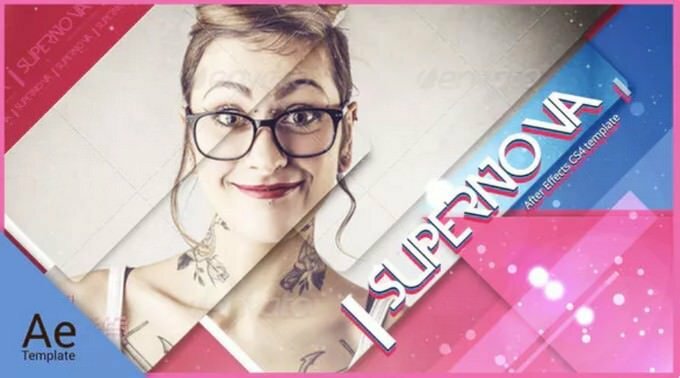 Super Nova is an After Effects template that includes a beautiful lower third design, a broadcast promo and a very useful full screen HD slideshow. 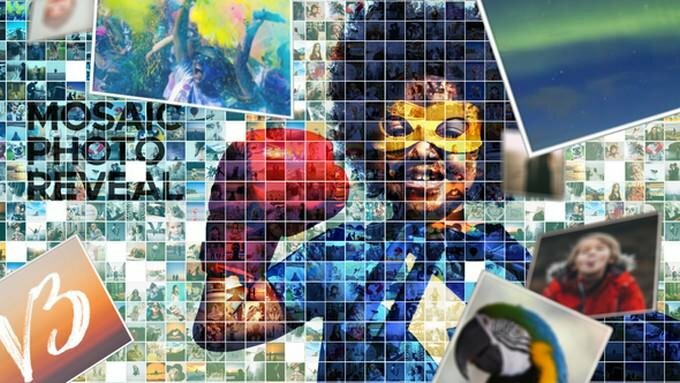 You can use video or photos. The customization is really simple with easy color controls and an organized modular structure. 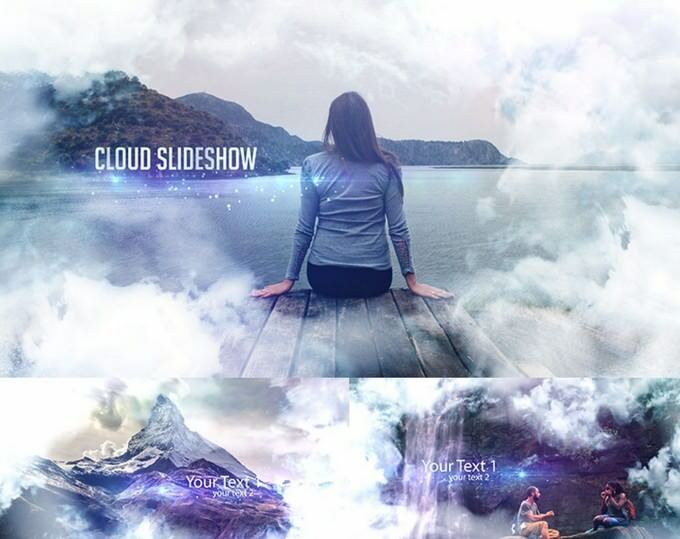 Create great promos, add the final touch to your presentation, create a trailer and much more using this great template.